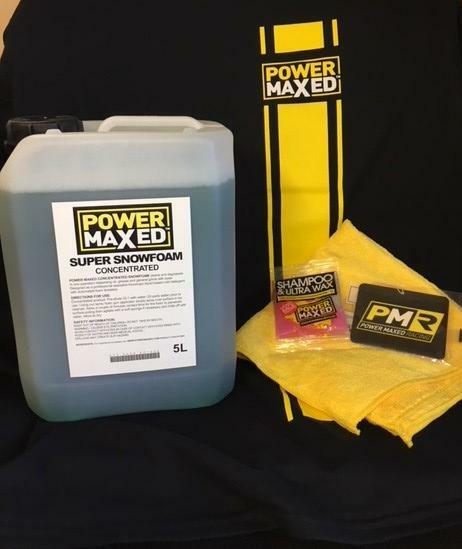 Power Maxed Blizzard Snow Foam 5 litre + Free Complimentary Micro fibre Cloth and Shampoo & Ultra Wax Sachet. 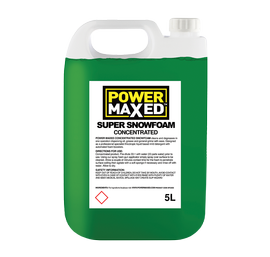 Power Maxed Concentrated Snow Foam cleans and degreases in one operation dispersing oil, grease and general grime quickly and effortlessly. The Snow Foam creates a blanket of foam when used through a foam lance. The advantage of foam is that it can be applied and left to dwell for a prolonged cleaning effect. Dirt is encapsulated and removed during rinsing with a hose, avoiding the need for agitation and avoiding micro scratching. Simply spray on and rinse off.